Climate Change Education .org is a volunteer organization made up primarily of docents and interns at California science centers and museums, along with students, scientists, and staff at the University of California, Berkeley. The organization specializes in hands-on science demonstrations relevant to climate change and other topics, and the encouragement of partnerships in education. 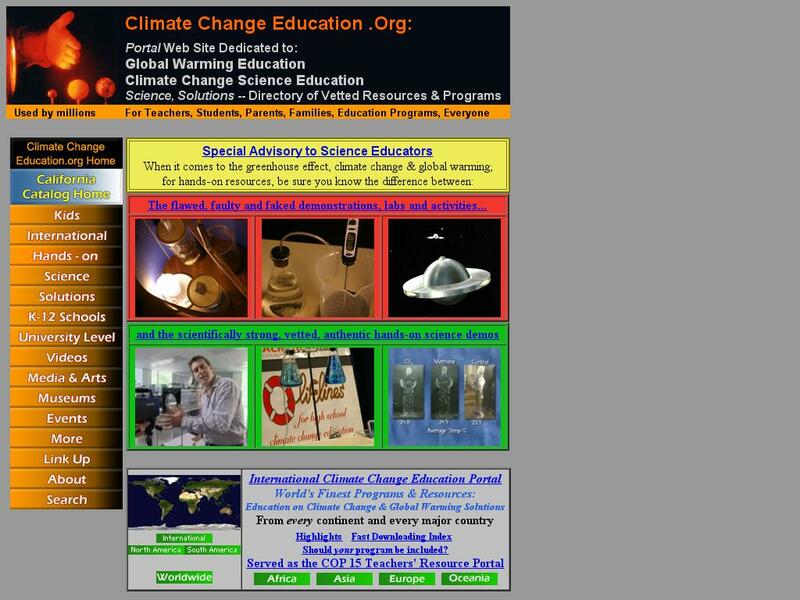 The group's two portal web sites, Climate Change Education .org and Global Warming California .net, direct visitors to hundreds of links to great resources on subjects of interest.